From the NCAA tournament to the mid-major debate, here are the top 16 reasons to be excited for the 2015-16 college basketball season. There are no 52 days remaining until Friday, Nov. 13, when the college basketball regular season tips off. We've been counting down 64 reasons to be excited for the coming season, and we wrap up today with the top 16. College students have gone to such extreme lengths to distract opposing free throw shooters that it’s becoming difficult to find methods that are both new and effective. Last season The New York Times broke down which fans are most effective at forcing misses from the line, and unsurprisingly, Arizona State’s topped the list. The Curtain of Distraction is perfect: it’s novel, unpredictable and impossible to ignore. We can’t wait to see what will appear behind the curtain this year. Which students have huddled together this off-season concocting something to rival the creation that was so successful for Sun Devils’ supporters last year? The Terrapins delivered their best season yet under coach Mark Turgeon last season. They posted 28 wins, finished in second place in the Big Ten and earned a No. 4 seed in the NCAA tournament. Similar numbers this season, however, would leave Maryland fans wanting more. That’s because Turgeon’s team could be a lot better. Point guard Melo Trimble and wing Jake Layman elected to return to school, the nation’s top center recruit (Diamond Stone) and former Duke guard Rasheed Sulaimon will enter the fold, and Georgia Tech transfer forward Robert Carter will be eligible after sitting out last season. Given its combination of returnees and talented newcomers, Maryland should be considered the Big Ten favorite and a top-three squad nationally entering the season. It is one of the most impressive runs in college sports: Kansas has won at least a share of 11 consecutive Big 12 regular-season championships. 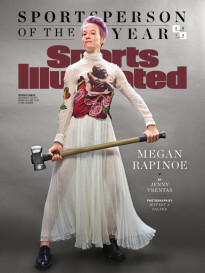 If you think the streak will end this year, well, don’t think that. Because it’s probably going to continue. The Jayhawks return one first-team All-Big 12 performer (Perry Ellis), one second-team All-Big 12 performer (Frank Mason III) and one All-Big 12 honoree (Wayne Selden) from a team that earned a No. 2 seed in the NCAA tournament and won at least 25 games for the 10th consecutive season. Kansas also welcomes in a recruiting class featuring three top-50 prospects, although power forward Cheick Diallo has yet to receive clearance from the NCAA. Since he took VCU from the First Four to the Final Four in 2011, Smart has been one of college basketball’s hottest coaching candidates. He stayed in Richmond for four more seasons, until Texas came calling this off-season. Although the man who hired him has since been fired, expect Smart to stick in Austin. 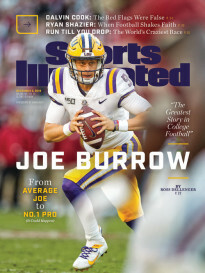 He’s charismatic enough to charm the boosters, tenacious enough to win over top recruits and smart enough to find the right formula for making the Longhorns elite. All that being said, Texas isn’t teeming with talent this season, and the Big 12 is unforgiving as always. It’ll be fun to watch Smart navigate his long-awaited foray into the big leagues. The two squads meet the day after Christmas in Rupp Arena. With a win at the KFC Yum! Center last year, Kentucky cleared one of its biggest hurdles en route to an undefeated regular season. The stakes won’t be as high this season, but that doesn’t mean you shouldn’t watch. Kentucky projects to be better than Louisville despite losing seven players to the NBA, though the Cardinals could outperform expectations after adding two graduate transfers (Damion Lee and Trey Lewis) and highly regarded shooting guard recruit Donovan Mitchell this off-season. Even if this game won’t go down as one of the best in the rivalry’s history, it’ll still be the best game during the slow winter break. The Sooners’ prospects for this season got a lot better in April, when Buddy Hield announced that he would stay another year in Norman. Hield was a likely first-round pick; as a senior this season he’ll be a frontrunner for national player of the year. He and point guard Jordan Woodard will form one of the best backcourt. Down low, Ryan Spangler will lead a young but talented frontcourt featuring sophomore Khadeem Lattin, redshirt freshman Jamuni McNeace and 7-foot juco transfer Akolda Manyang. In the early going, Lon Kruger will lean heavily on Hield and Spangler as the other players—particularly in the post—settle into their roles. The Tar Heels have finished fifth and fourth, respectively, in the ACC the past two seasons while earning no better than a No. 4 seed in the NCAA tournament. With a talented rotation returning, North Carolina should open this season ranked in the top three of the polls. Meanwhile, Duke also projects as a conference and national title contender despite losing three players (Jahlil Okafor, Tyus Jones and Justise Winslow) to the NBA. Games between the two teams could affect NCAA tournament seeding and the league title race, but you’ll have to wait a long time to see the Blue Devils and Tar Heels face off. The two squads won’t meet in conference play until February 17, with their second game set for March 5. 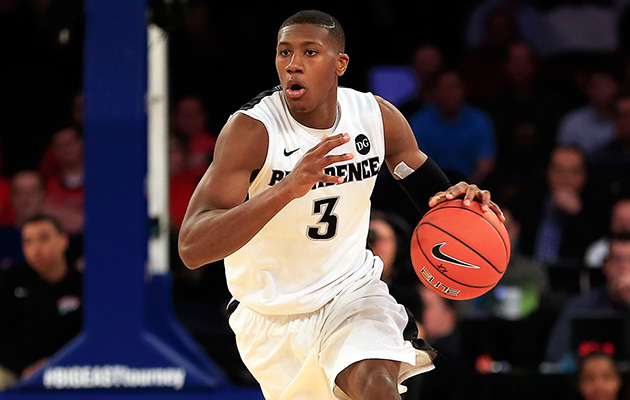 It seems hard to believe, but we’ve only really witnessed a season and a half of Kris Dunn at Providence. The redshirt junior missed significant portions of his first two seasons, but finally showed what he’s capable of last year, leading Providence in assists and finishing second in points and rebounds. Without running mate LaDontae Henton (who led the Friars in scoring and rebounding) playing pro basketball, Providence’s offensive and defensive efforts will run through Dunn. If he can handle being the No. 1 target on every opponent’s scouting report, expect this season to be his last in Rhode Island. The high school class of 2016 is considered one of the best in recent memory. One of the top three players in the class, small forward Jayson Tatum, has already committed to Duke, but six of Rivals.com’s 10 highest-ranked rising seniors remain uncommitted. Where will they end up? We don’t know, but we’ll begin to find out in the coming months. While their decisions won’t help teams on the court this season, they will build excitement for what those teams can accomplish in the 2016-17 season. Can the Blue Devils add to a class already featuring two five-star prospects by signing power forward Harry Giles, the nation’s top player? Will power forward Edrice “Bam” Adebayo join five-star point guard Dennis Smith at N.C. State? You have to go back to 1995 to find a year that the Naismith Award and the Wooden Award went to different players. Could this be the year to break that streak? Unlike last season, when Frank Kaminsky and Jahlil Okafor were 1a and 1b essentially from Game 1, this isn’t a two-horse race. And although LSU’s Ben Simmons or Kentucky’s Skal Labissiere could have exceptional seasons, odds are that an upperclassmen will be taking home the hardware again this year. Early favorites include Wisconsin’s Nigel Hayes, North Carolina’s Marcus Paige, Providence’s Kris Dunn and Iowa State’s Georges Niang. This version of the Tar Heels looks to be Roy Williams’s most talented team in a long time. North Carolina only lost one starter—guard J.P. Tokoto—from last season’s starting lineup. A healthy Marcus Paige will be the focal point of the offense, and he’ll have plenty of help with wing Justin Jackson and Kennedy Meeks and Brice Johnson in the post. North Carolina boasted a top-10 offense, according to kenpom.com, last season, but its defense was outside of the top 50. Losing Tokoto hurts more on that end of the floor, but it also opens an opportunity for the bigger Isaiah Hicks to get more minutes and help improve the Tar Heels’ terrible defensive rebounding percentage. We’ll get an early glimpse of how good North Carolina is when it takes on Maryland in the ACC/Big Ten Challenge on December 1. The 30-second clock won’t singularly solve the plodding offensive pace that has plagued college basketball for the past couple of seasons, but it is a sign that the sport is open to change. The interesting thing here will be to see if this change actually helps offenses or defenses more. SI’s Luke Winn explained in June how teams like San Diego State and Florida, which use token fullcourt pressure on the ballhandler, could be in the best position to exploit the new changes. Expect a few more end-of-shot-clock heaves early this season as teams adjust to not being able to walk the ball up the floor and to not being able to run three or four offensive sets. And expect Virginia’s opponents to be frustrated even more than they were under the 35-second clock. ​We spent way too much time last year dissecting Calipari’s platoon system. Was it effective? Which players belonged in which platoon? In May, about a month after Kentucky fell to Wisconsin in the Final Four, Calipari tried to make clear that he won’t be platooning anymore, writing in a post on his website that, “I think how you will see us playing going forward will be closer to how we have always played. That won’t be platooning.” You may not hear the word “platoon” much this year, but get ready to see the Wildcats play some “position-less” basketball. By the end of the season, don’t be surprised if Cal comes up with yet another term to describe his team’s style. It’s not just the star of the college basketball season, the NCAA tournament is the best postseason in American sports. It doesn’t always crown the best team, but it certainly always provides the best entertainment. From the endless onslaught of games on Thursday and Friday of the Round of 64 to “One Shining Moment,” the three weeks of the NCAA tournament are unmissable.